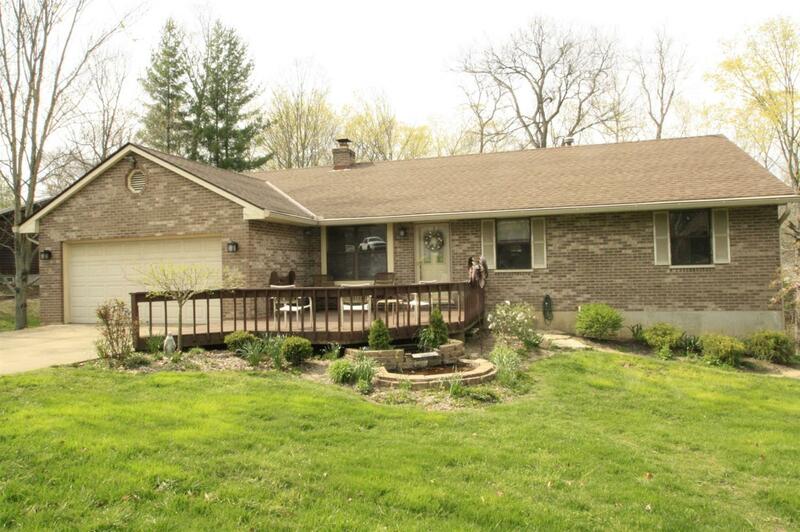 Hard-to-find brick ranch in heart of Bright! 3-4 BR, 3 full baths, LL set up for extended family living w/kitchenette area. 1st flr laundry. Cathedral ceiling, brick WBFP, Hi-Eff furnace-2 yrs. New water softener & HWH. Roof, gutters & guards-5 yrs. Kitchen appl's. Walkout to LL patio w/firepit, decks & AG pool. Invisible fence & 1 collar included.